While the files exposing limitless global NSA spying speak for themselves, the man behind the leaks has also had much to say. One year after his first leaks were published, RT picks some of the standout quotes from former NSA contractor Edward Snowden. 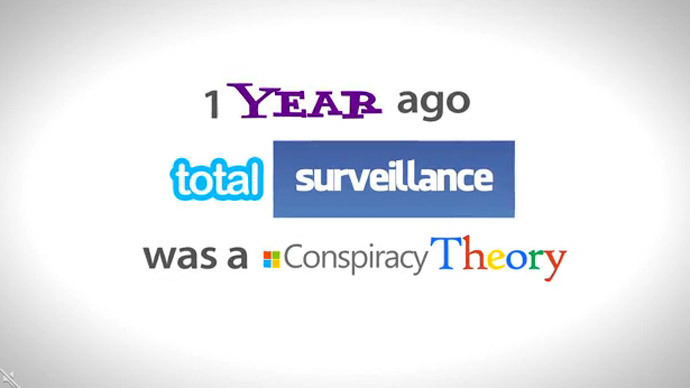 In June 2013, Snowden revealed to the world that the US National Security Agency (NSA) has been using a sophisticated and warrantless web surveillance system to gather and analyze Americans’ and foreign nationals’ online and phone communications. 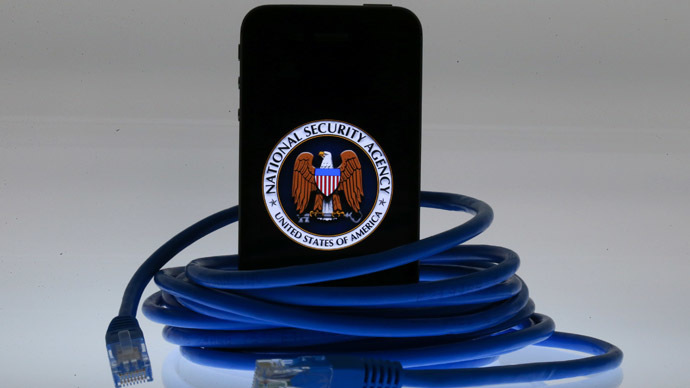 “The NSA has built an infrastructure that allows it to intercept almost everything. With this capability, the vast majority of human communications are automatically ingested without targeting. If I wanted to see your emails or your wife’s phone, all I have to do is use intercepts. I can get your emails, passwords, phone records, credit cards,” Snowden said. 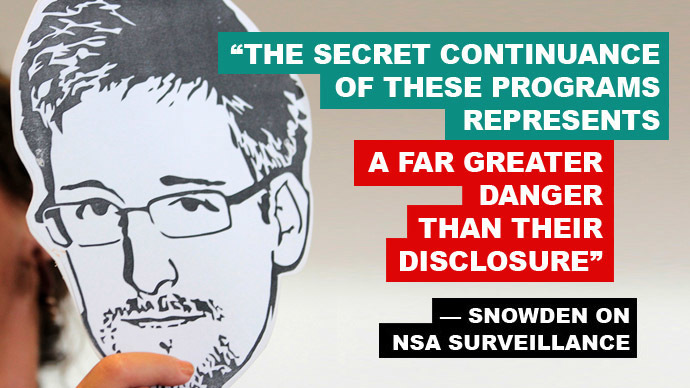 Snowden painstakingly picked the NSA files from a trove of classified documents and distributed them among some of the trusted world journalists, making sure that the flow of explosive leaks would be unstoppable. “All I can say right now is the US government is not going to be able to cover this up by jailing or murdering me. Truth is coming, and it cannot be stopped,” he said. 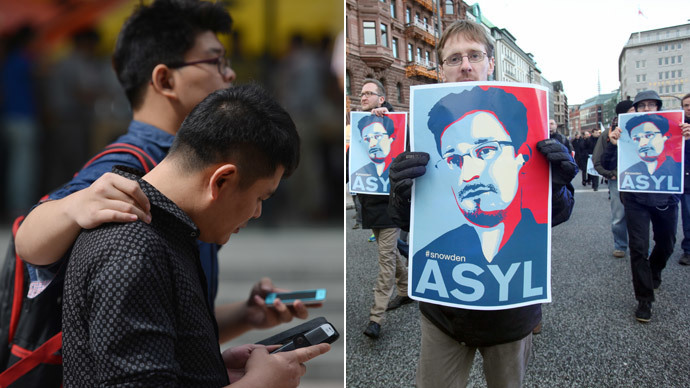 In his rare public addresses since fleeing the US for Hong Kong, and then finding temporary asylum in Russia, Snowden pointed out that the proverbial Orwellian state is “nothing compared to” the NSA’s methods, urging the citizens of the world to fight for their right for privacy. “A child born today will grow up with no conception of privacy at all. They’ll never know what it means to have a private moment to themselves, an unrecorded, unanalyzed thought,” the whistleblower said. Snowden sent a strong message to the US government, saying he believes the people “will not be intimidated,” and that one would not want to live in a world without a private space. “I can’t in good conscience allow the US government to destroy privacy, internet freedom and basic liberties for people around the world with this massive surveillance machine they’re secretly building… I don’t want to live in a world where there’s no privacy and therefore no room for intellectual exploration and creativity,” Snowden said. 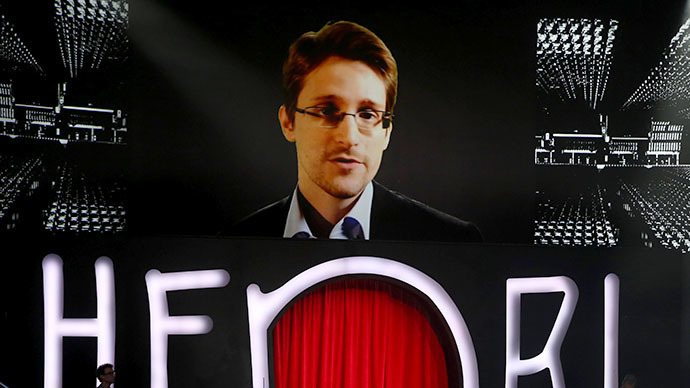 While the US government and its media machine has immediately started painting a picture of Snowden as a traitor, some even suggesting he ended up “in the loving arms of FSB,” the whistleblower stressed he had a much stronger motive for his actions – patriotism. “I’m neither traitor nor hero. I’m an American” Snowden said. “I can do more good outside of prison… This country is worth dying for,” he added. “After 9/11, many of the most important news outlets in America abdicated their role as a check to power – the journalistic responsibility to challenge the excesses of government – for fear of being seen as unpatriotic and punished in the market during a period of heightened nationalism,” Snowden said. NSA presentation files leaked by Snowden contain a world heat map showing the scale of the US surveillance. According to the map, American communications are being monitored by the NSA even more actively than Russian ones. “We watch our own people more closely than anyone else in the world,” Snowden said via a video link to Washington as he was receiving the Ridenhour Award for ‘Truth-Telling’. “When Clapper raised his hand and lied to the American public, was anyone tried? Were any charges brought? Within 24 hours of going public, I had three charges against me,” the whistleblower said, greeted by a standing ovation from the US audience. 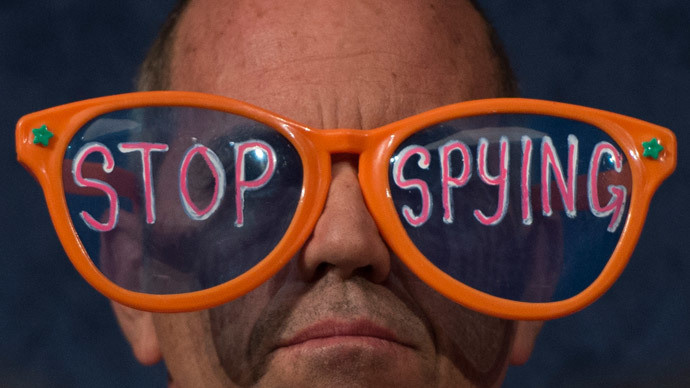 The American spying agency is not only responsible for national security, but also spies on foreign industrial entities in US business interests, Snowden revealed. If an industrial giant like Siemens has something that the NSA believes “would be beneficial to the national interests, not the national security, of the United States, they will go after that information and they’ll take it,” the whistleblower said. Following Snowden’s leaks on US spying activities in Europe, German Chancellor Angela Merkel justified the surveillance – until she learned she was on NSA’s radar herself. 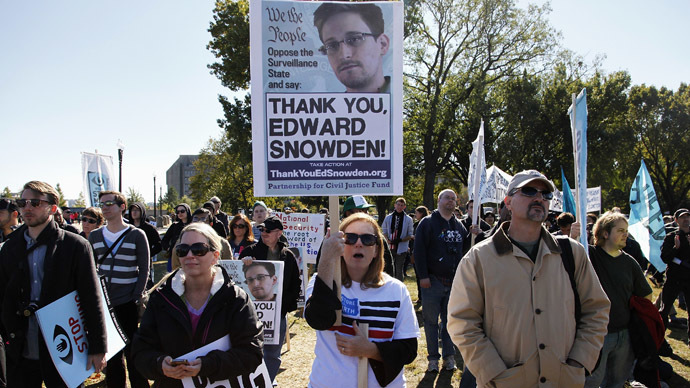 Snowden has viewed such stance as hypocrisy, even coining a phrase in honor of Merkel. “It’s clear the CIA was trying to play ‘keep away’ with documents relevant to an investigation by their overseers in Congress, and that’s a serious constitutional concern. But it’s equally if not more concerning that we’re seeing another ‘Merkel Effect,’ where an elected official does not care at all that the rights of millions of ordinary citizens are violated by our spies, but suddenly it’s a scandal when a politician finds out the same thing happens to them,” Snowden said, referring to the statements of US Senator Dianne Feinstein. Snowden said he was disillusioned with Obama who, instead of restricting the surveillance programs, has “closed the door on investigating systemic violations of law, deepened and expanded several abusive programs.” However, he believes Obama has not yet reached the point of no return and “has plenty of time” to stop the warrantless surveillance of the NSA. “The result is a European bazaar, where an EU member state like Denmark may give the NSA access to a tapping center on the [unenforceable] condition that the NSA doesn’t search it for Danes, and Germany may give the NSA access to another on the condition that it doesn’t search for Germans. 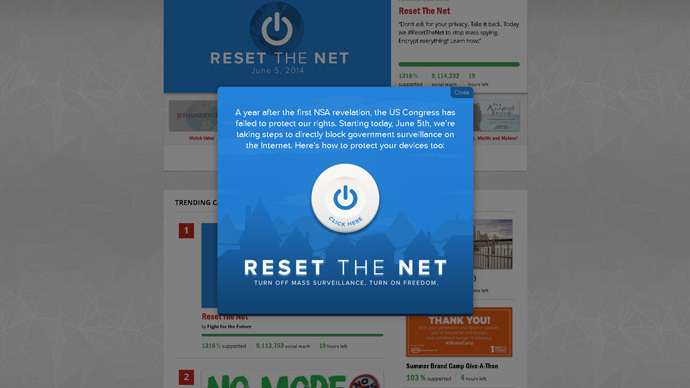 Yet the two tapping sites may be two points on the same cable, so the NSA simply captures the communications of the German citizens as they transit Denmark, and the Danish citizens as they transit Germany, all the while considering it entirely in accordance with their agreements,” Snowden said. Snowden fears that with the help of the NSA, the US is turning into a “turnkey tyranny,” justified by stories of the external threats that the people would swallow. “The great fear that I have regarding the outcome for America of these disclosures is that nothing will change. 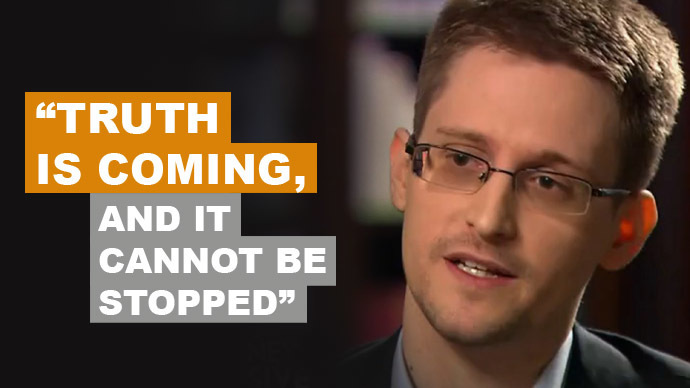 [That people] won’t be willing to take the risks necessary to stand up and fight to change things,” Snowden shared. Despite sophisticated programs and tactics employed by the NSA, former spy Snowden does not believe that end-to-end encrypted communication is “a lost cause.” The problem is the endpoint security, which the people should be improving, he says. “Encryption works. 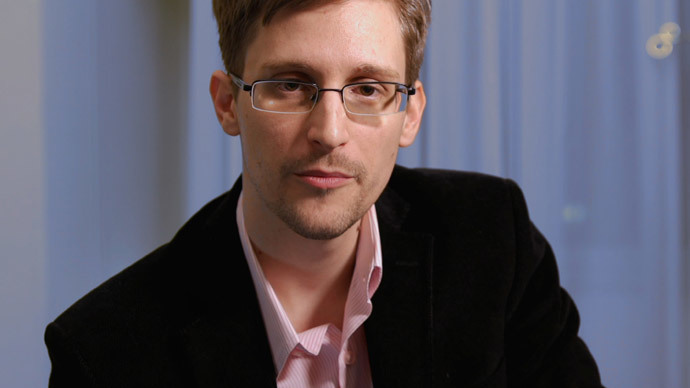 Properly implemented strong crypto systems are one of the few things that you can rely on,” Snowden said.